Home/Cemilan/Cokelat & Permen/Vel Moriz Thin ..
Super foods boost deep, dark chocolate in our all-natural Thin Bites Series. Dark chocolate - itself a super food - is rich in antioxidants, vitamins and minerals, boasting benefits that include stress reduction, heart health and improvement in brain function. 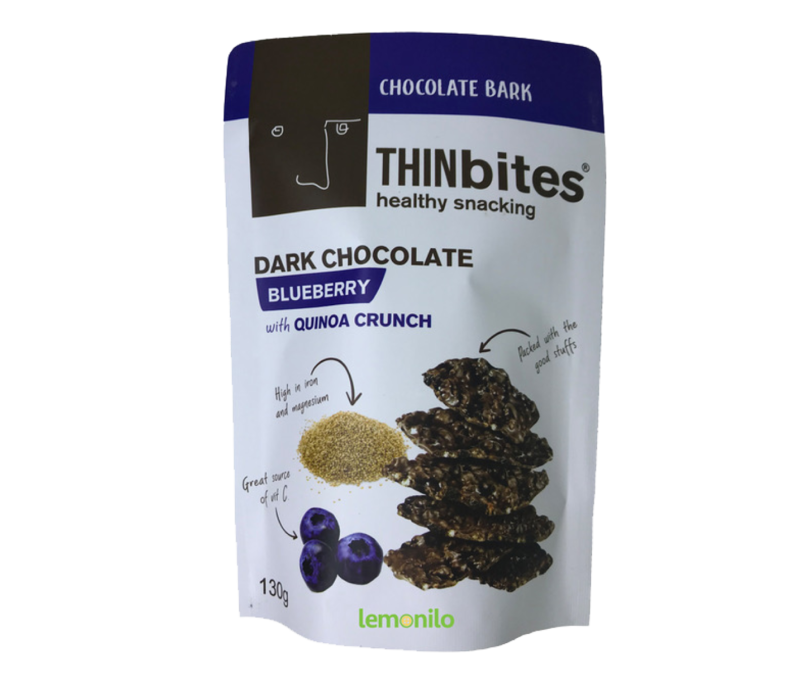 High in iron, magnesium, great source of vit C.
Ingredients: Dark chocolate (cocoa mass, cocoa butter), soy lecithin, glazed quinoa, blueberries. Storage: Store in fridge and air tight.